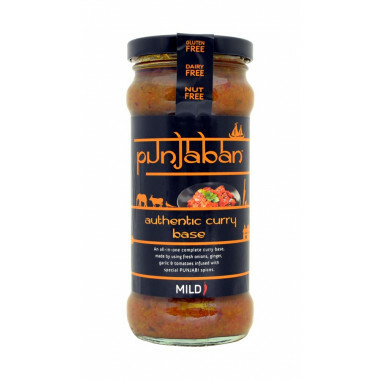 Very slightly spiced, this curry sauce is based on onions, tomato, ginger and mix of spices. Ideal for meats, fishes and vegetables. Since 2010, Charanjit Sapal and his two children Gurjeet and Ria have been selecting the finest and most authentic Indian ingredients for their family recipes, such as Curcuma, Coriander or curry. These sauces remind of the homemade meals and may be served with naan bread or rice. Cook yourself a delicious Indian meal in no time! For an authentic Indian recipe, Punjaban sauces are simply the best. They offer a unique mix of spices such as curcuma, curry and coriander, and are gluten-free, with no additives or artificial colourings. For a more creamy texture and a smoother taste, just add fresh cream. Sauces sold in a glass jar. 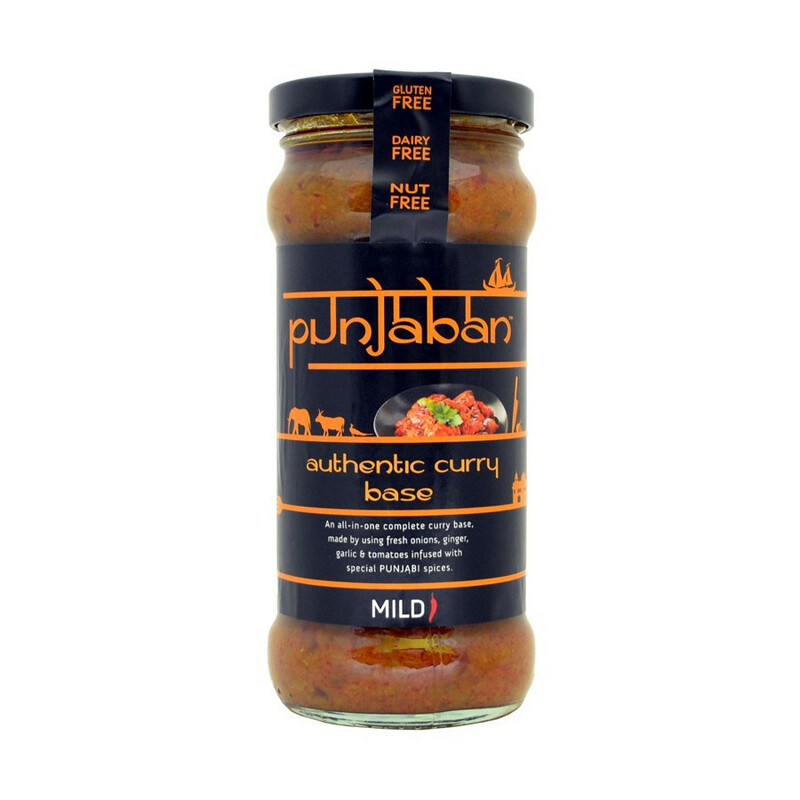 For an authentic indian food, the Punjaban sauces are perfect ! The butter chicken is an inescapable indian food, served with chicken, vegetables and cashew nuts. Ingredients: onions, tomatoes, rapeseed oil, garlic, ginger, spices (incl. salt), cumin seeds, lemon juice, mustard. Allergen informations: see ingredients in bold. Step 1: Pour Punjaban into a pan. Step 2: Add approx 400g of cooked or uncooked chicken, meat or vegetables, plus 1/3 jar of water. 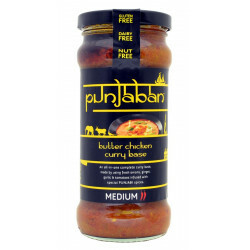 Step 3: Simmer until ingredients are cooked and then serve with Punjaban rice , naan or chapattis.